Nate is a nature-loving guy. After losing both of his parents to preventable disease, he turned to real, raw, nutritious foods as a way to prevent cancer and heart disease that runs in his family. He's on a mission to help others do the same. Nate believes that Green Smoothies are the easiest way to get the quality nutrition we need every day to feel more energy and to thrive! No need to sweat for hours over a bubbling, boiling pot for your soup anymore. if you have a blender with a heating setting and a heat-safe container (Such as the Nutribullet RX) you can make yourself a steaming bowl or two of smooth, pureed, fully cooked, and highly nutritious soup in minutes! Try it for yourself with some of my favorite Nutribullet hot soup recipes… or make a new twist on an old favorite. Truly, with blended soups, the sky is the limit! This delicious, hearty, Quick and Easy Vegetable Soup recipe from Inspired Taste can easily be made in a blender, once you’ve softened up the vegetables in a pan. Although cooking the vegetables first can take some time, it really let’s all of the flavors from the herbs seep into the soup – right where you want them. You can easily use this as a base for other soups, or even replace the half-and-half with coconut milk for a vegan dish. Just don’t forget to take out the bay leaf before you blend it — it’s no fun to pick bay leaf fragments out of your teeth if you can help it. This serves about 4-5 people, and you can refrigerate it for up to 3 days. But will it really last that long? Try eating it with gluten-free pasta or taking it to work as a hot snack that will keep you going all day. Broccoli’s cousin, cauliflower, is often ignored. But did you know that it is a paleo dream-food? It is an absolutely wonderful vegetable that can add texture and nutrition to a dish, even mimicking It can substitute in other non-paleo foods like rice and bread. In this Creamy Cauliflower Soup, it even adds cream without the cream! While the original recipe calls for the ingredients to be cooked in a pan first and then blended, you can definitely use a Nutribullet extractor to heat cook it in the blender itself. Just make sure, as always, to watch out for steam! Try it with the recommended toppings of chopped fresh chives, chopped fresh parsley, and a drizzle of olive oil. Or, add a different twist with sliced or crushed almonds, sunflower seeds, or even a little added green with stir-fried zucchini. This warm and filling Broccoli Cheese Soup holds back the fat and the sodium and brings out the flavor. Although some may call it a “copycat” of a Panera recipe, but you can make it your own with just a few twists. for an added pesto-style twist. Or, for a gluten-free version of this delicious cheesy Nutribullet soup, try substituting flour with an alternative like cornstarch, arrowroot, or tapioca. If you are doing this, don’t forget to use gluten-free broth, too! Roasted Garlic and Asparagus Soup: You don’t get much simpler soups. Roast the garlic cloves and asparagus with olive oil, salt, and pepper at 450 degrees for 12 minutes to bring out the good flavors… and then put everything in your heated Nutribullet blender and turn on the blades! No need to warm the soup, though you may need to add water to thin it out to your preferences. This bright orange soup has bright flavors to match! Ginger and Tumeric Carrot Soup is also super healthy — not only are you getting important nutrients called carotenoids from (what else?) the carrots, but you are getting stomach settling action from the ginger and the inflammation-fighting power of turmeric… all in one soup! You get the added benefit of smelling the sautéed onions, garlic, ginger, turmeric, and orange zest before you put it into the blender with the stock. The recipe says to reheat it, but as usual, there is no need. Try topping the soup with a garnish of toasted and chopped hazelnuts roughly and fresh thyme. Or, if you want even more color and nutrient-rich value, add in some paprika (either as a garnish or in the soup). If you feel like adding in some protein, chicken — seasoned with salt and pepper, cooked in a pan until done through, and cut into strips — can be added into the soup when you serve it. Don’t blend it with the soup — that might not be the texture that you’re looking for. What could be better on a cold night than this creamy Roasted Butternut Squash Soup? Butternut squash is usually considered a Winter or Fall squash, but if you can get it, why not have it whenever you want? Warm in color, the roasted vegetables are the secret to the home-cooked comfortable feel of butternut squash soup. Roast those vegetables up at 350 degrees until they are soft (about an hour) and then blend them into a fine, creamy, pureed soup. Keep in mind that, because you’re not going to have much evaporation from your Nutribullet when you use it to make soup, so you might want to add less stock than this recipe calls for. Otherwise, your soup will come out watery. If it does turn out watery, don’t worry. Just add a thickener like cornstarch (appropriate for the fall season) until it reaches a consistency that you like. If you have the time, though, sauteeing it first as the recipe tells you, and then simmering it will add flavor and texture. Do you like tomatoes? Did you plant a tomato plant and end up with more tomatoes than you know what to do with? Then this Tomato and Basil Blender Soup is for you! Although you can put the ingredients in your Nutribullet blender raw and use the friction of the blades to cook it (on the heat setting), roasting the vegetables for 30 minutes is the secret to the best-tasting — and easiest — tomato soup this side of an aluminum can. Just don’t roast the basil — that just ends up being burnt leaves, and no one wants that in their soup. to the roasted vegetables. The amount you add depends on how much of the soup you plan to make. Just don’t forget to cut up the celery into chunks and the cauliflower into florets, otherwise, they might not roast very well. Eggplant is a great vegetable, and even when not blended it adds a lot of texture to a vegetable-based meal. Roasting the eggplant — and the onion, tomatoes, and garlic – in this Roasted Eggplant and Tomato Soup will really bring out the slightly woody flavor. Blending these vegetables with bone broth (a milder tasting broth) in a Nutribullet with the heating setting on will whip them up into a soup in no time. The recipe recommends garnishing your roasted eggplant and tomato soup with sour cream, milk, coconut cream, or a drizzle of olive oil. But, you can also just have your soup as is, in all of its tomato and eggplant glory. Did you know that sweet potatoes, also called batatas, are native to the Americas? They used to be grown by native peoples in the Caribbean, Mexico, and many other parts of Middle and South America. Paired with Poblano peppers in this Sweet Potato and Poblano Pepper Soup and you have a soup similar to what an ancient Mayan or the many native people of the Caribbean islands might have eaten, once upon a time. Well, more or less — they didn’t have paprika, store-bought chicken stock, or a Nutribullet to help them. You can swap coconut oil out for butter or olive oil if you want. You also don’t have to cook the sweet potatoes separately if you don’t feel up to the task. We heartily recommend cooking the shallot and the poblanos separately, however — it will make everything a lot tastier. You can garnish it with minced cilantro or red onion, but if you want to go a more traditional route, try it with a dollop of sour cream or a drizzle of sweet chili sauce. This Roasted Acorn Squash and Apple Soup might take a little more time and effort than the others, but you can really work some fruit into your diet with ease! Roasting the squash can be a pain, but it makes it easier to work with, especially if you don’t want to deal with the tough squash skin. Garnish it with pomegranate for an extra fruity twist, or coconut milk. If you prefer cow milk, you can use that, too. Have you ever looked at the pumpkins on display at the supermarket and wished you could make something with them? Well now you can — try some Roasted Pumpkin Soup this Halloween to warm you up amidst the spooks and frights. Try sautéing the onion and carrot in butter before blending the pumpkin, bone broth, vegetables, and spices in your Nutribullet — the flavor is definitely worth 10-15 minutes of cooking. Did you know that roasted garlic tastes different than fried garlic? This is because roasted garlic is usually cooked whole, so the sulfuring compounds and essential oils inside don’t get exposed to air and break down. This means that, when garlic is roasted, its chemistry becomes different from minced or chopped garlic — milder and a little sweeter. Use this to your advantage in this Roasted Garlic Soup, where the main stars of the soup are roasted garlic and carrots. Once the garlic is roasted, you can just load the inner portions of the roasted garlic (not the papery skin) into your Nutribullet with the vegetables, and set it to cook! Simple to make, but full of flavor. Who doesn’t like an eye-catching green soup? Fresh or frozen, whole or mashed, Green Pea Soup is a staple of any Western kitchen. Along with the creaminess of the potato, this soup adds a twist of lemon for that bit of citrus brightness. When you’re using this recipe with a Nutribullet, make sure to blanch and shock the peas before cooking them into soup — that way you keep that bright, fresh-looking green color. Also, make sure not to overfill your Nutribullet – if you need to make your soup in batches, then do so — there will be plenty of soup to go around. So, you’ve got your hands on some nice peppery watercress, and you want to know what to do with it. Make a Creamy Watercress Soup! Don’t worry about Dutch ovens or cooking pots. You can saute the onions and garlic for some added flavor, but this recipe works well when cooked in the blender with the heating setting. For a gluten-free soup, substitute the flour for rice flour, cornmeal, or gluten-free bread. Or, if you don’t mind a slightly looser soup, exclude it entirely. This one will take a few minutes of prep and simmer time, but this Brie, Cheddar, Apple and Beer Soup will definitely knock your socks off. Simmering the apples, onions, cider, beer, and chicken broth all together lets the flavors develop together and become something truly delicious. Blending cheese in a blender is not always recommended (it sticks to the blades) but the Nutribullet can handle it. If you have a few more spare minutes, make the nut crumble — the crunchy, salty, sweetness of the oats and peanuts will add the perfect texture to your soup. Simmering apples makes them sweeter, and simmering sweet potatoes… well, about the same thing. This Cream of Sweet Potato Soup will leave you wondering why you don’t pair sweet with savory for more of your meals. The recipe recommends topping your finished soup off with fresh parsley and asiago cheese, and that’s just fine. But try chopped figs, dried cranberries, raisins, or a splash of lime juice – you won’t be disappointed. Our favorite thing about breakfast smoothie recipes? The variety of options you have is immense and this list of our favorite ninja breakfast smoothie recipes shows it! This should really let you change things up! We suggest putting different ingredients in your blender each morning to ensure you don’t get bored and don’t be afraid to fill your nutri ninja blender with tons of fruits and vegetables so that you stay full until lunchtime. The Nutri Ninja is a great tool to start with when switching to a healthier breakfast routine. This single-serving blender is an easy, manageable size with the power of a normal blender. Here’s a list of some tried and true Nutri Ninja breakfast recipes and breakfast smoothie recipes. But, of course, don’t be afraid to whip up your own concoctions! This simple, easy-to-prepare smoothie has a light sweetness from the grapes and apple. It makes for a refreshing start to the day. Most importantly, it is incredibly detoxifying! 2 Choco-Covered Strawberries … For Breakfast? If you crave sweet, decadence first thing in the morning, this smoothie was made for you! Strawberries and cacao are a delicious pair that successfully hides the super nutritious beets and spinach. Loaded with ALL the superfoods, this smoothie is sure to help recharge you after a night of too much fun. It features coconut water, a hangover cure master due to its natural antioxidants and electrolytes. We also love that ginger sneaks its way into this smoothie because it helps combat nausea which is a must during an especially rough hangover day. Even though you’re on the way to work, sitting in traffic, you can still FEEL like you’re on a tropical vacation because – why not? This drink is refreshing, anti-inflammatory and loaded with vitamins. Why not combine your two morning necessities together? Enter: The Coffee Superfood Smoothie! Add flax, bananas, and cinnamon, and coconut milk to your morning boost to get some lovely nutrients in your body. Nothing quite like tasting or smelling something that reminds you of home. This surprisingly healthy smoothie does both. Think brown sugar, cinnamon, nutmeg, and apples – the most heavenly combination on earth! This smoothie is a heart health booster. 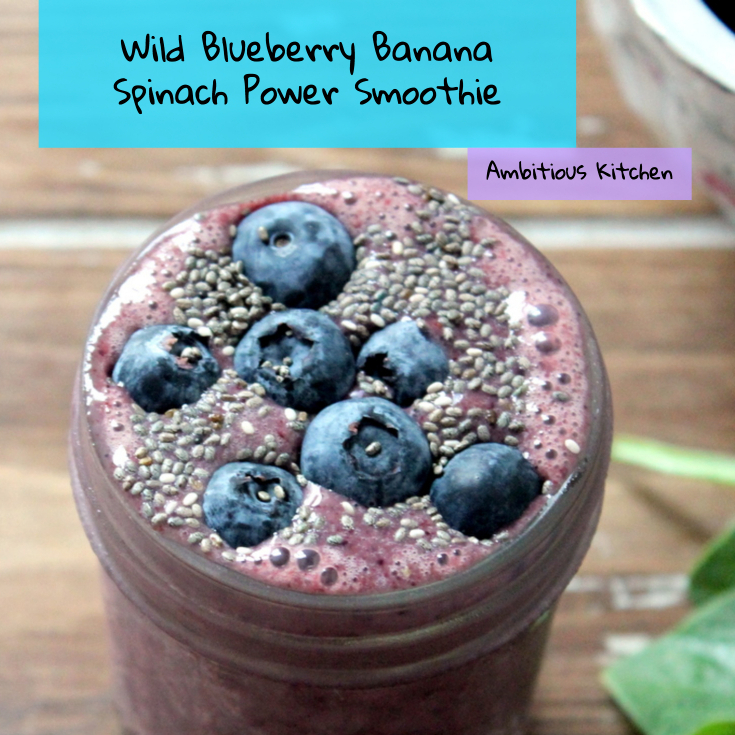 It has blueberries, a strong antioxidant and avocado, a cholesterol lowering queen. Also, check out this smoothie’s gorgeous color! You heard us right; this protein contains tofu! The protein doesn’t stop there either. This delicious drink also features protein-packed peanut butter and yogurt. This is the perfect breakfast to chug after a tough workout as it’ll help heal your muscles and keep you from stumbling, sore and stiff, the next day. Featuring not one, not two but three melons, the Honeyloupe smoothie is super refreshing and hydrating. 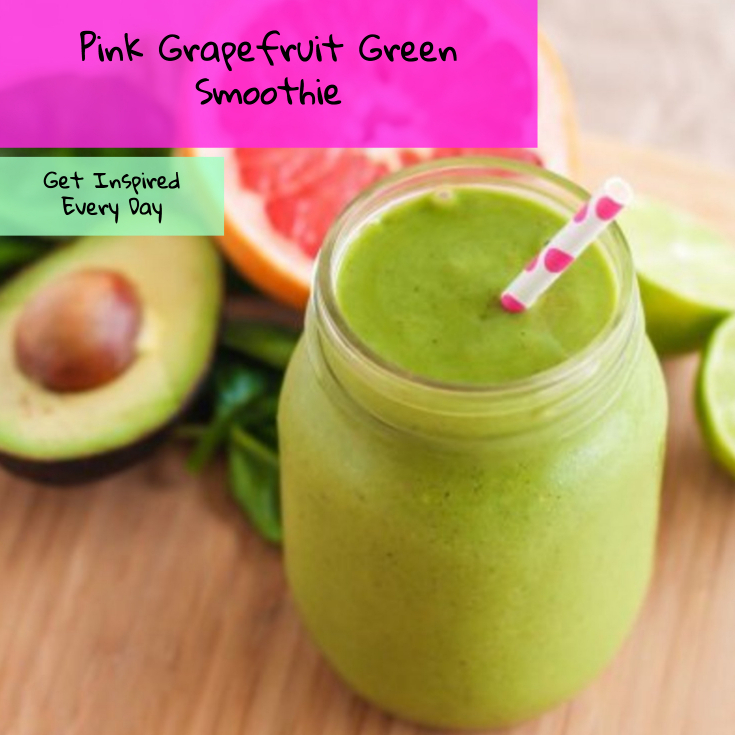 We love this one because melons are naturally low calorie and filled with essential vitamins. Matcha is all the rage these days and for good reason. 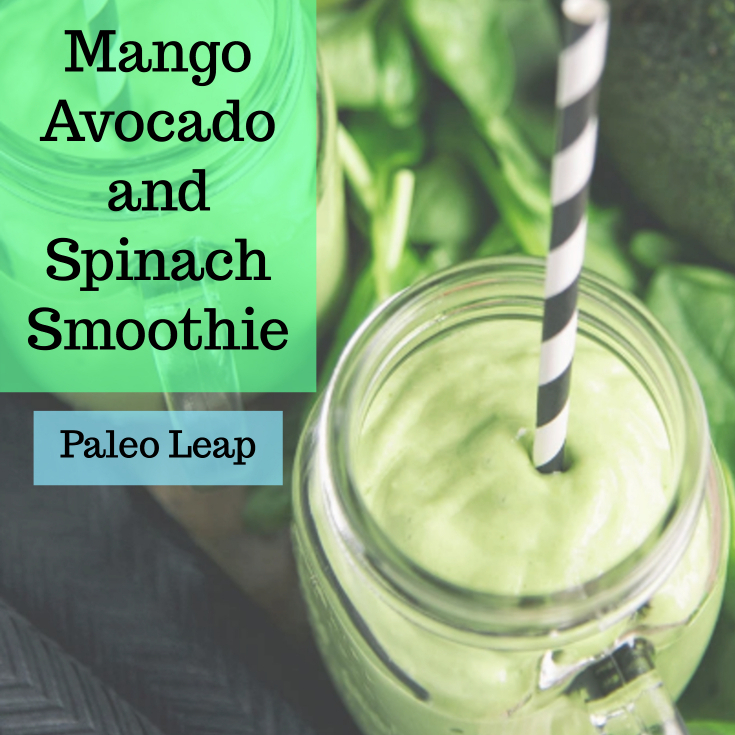 It is packed with antioxidants and provides a nice, steady energy boost. Does coffee give you the jitters? Maybe it’s time to try matcha! This recipe is a great way to introduce matcha and other green veggies into your diet. Plus, this smoothie sure is a beaut! Pro Tip: Turn this smoothie into a smoothie bowl by pouring it into a bowl and adding yummy toppings like goji berries, chia seeds, granola, and nut butter! Be sure to let us know which smoothies you enjoy most. Don’t forget to take some time to create your own smoothie recipes in your blender; you really can’t mess it up. Often, many people don’t even realize they have a leaky gut which usually results from an autoimmune disease. To help restore the gut and body, you must pay close attention to your diet. 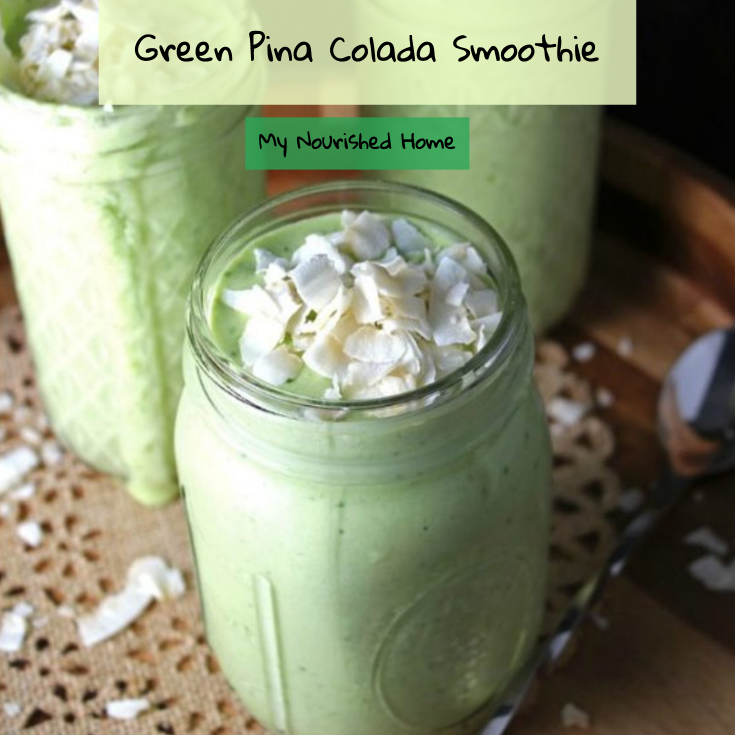 One of my favorite ways to help restore the gut and soothe inflammation is to eat foods that are anti-inflammatory and rich in essential gut-friendly nutrients and probiotics like you’ll find in these AIP smoothie recipes. All you need is a good blender to start benefiting from nature’s amazing healing foods. It doesn’t matter if you are on a paleo diet, vegan gluten-free diet, or somewhere in between, we’ve created a list of delicious gut healing smoothie recipes that you can easily modify for your own personal dietary preferences. After reading this, you’ll be on the path to reducing inflammation and healing your gut, one sip at a time! 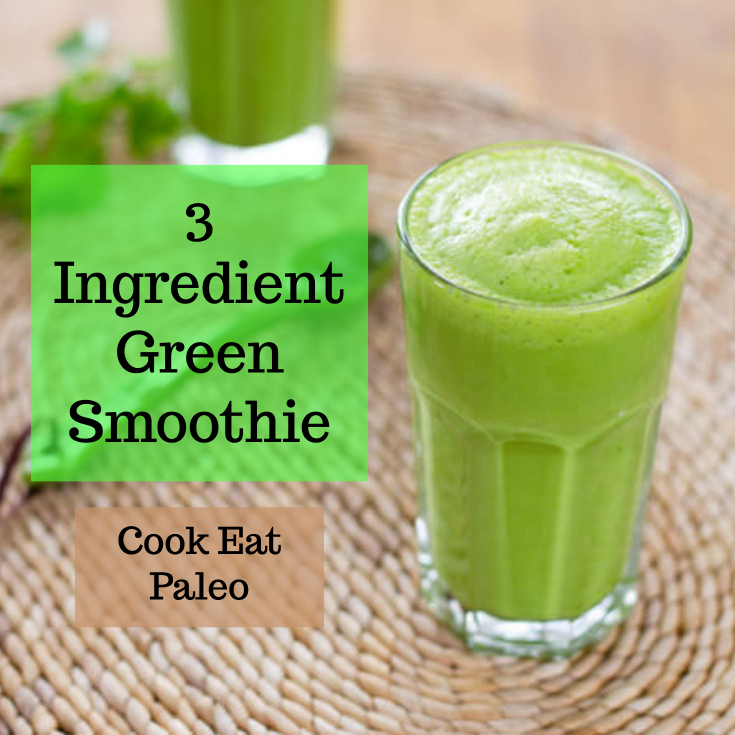 If you were recently diagnosed with an autoimmune disease and are following the autoimmune protocol, or if you are just beginning to add green smoothie recipes into your diet, it can be hard to adjust to the flavor of recipes containing leafy green vegetables. 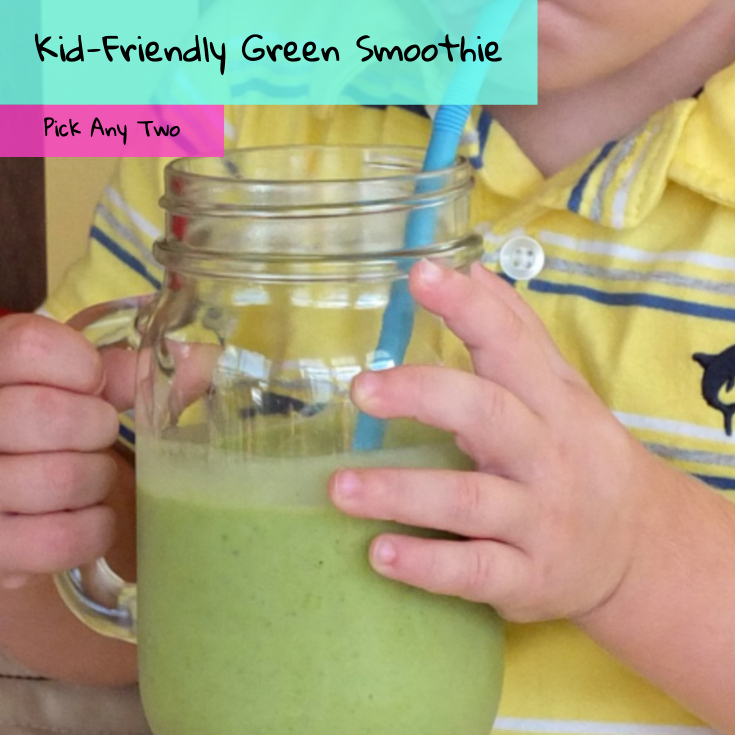 This kid-friendly Coconut Mango Spinach Smoothie uses foods that will promote good digestion and won’t trigger any “flare-ups” when you drink it. You can also add your favorite plant protein powders to this recipe like hemp protein, to boost the amino acid profile. This five-ingredient Peppermint Smoothie recipe contains vitamins and minerals that promote a stronger immune system by providing essential gut flora. This works for paleo diets and vegan gluten-free diets – you can choose how you want to customize this to meet your dietary needs. Fermented foods are great for an AIP diet since they are loaded with probiotics. This coconut water, Kefir Gut Healing Smoothie recipe contains lots of Vitamin B12, magnesium, and other important nutrients. Kefir contains a number of good probiotics, making it a prime option for a smoothie. Get ready to feel lessened symptoms from your leaky gut! 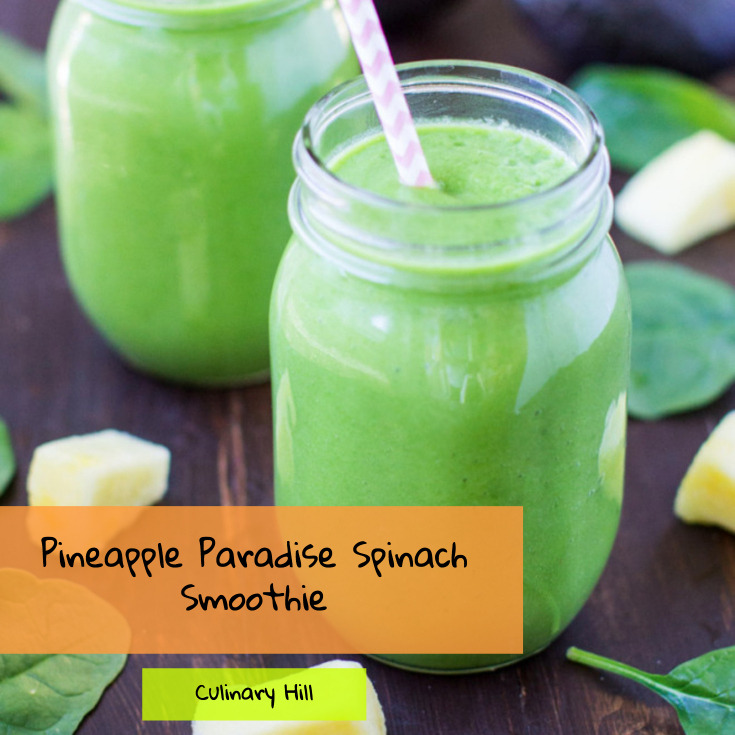 Herbs, spices, fruits, and vegetables are all packed into this Healing Pineapple Smoothie. With natural anti-inflammatory ingredients (such as turmeric), it’s the perfect smoothie to drink when you want to begin healing from the inside out. Kale and spinach are two leafy greens that help with the healing process for your body. This Gut Healing Smoothie contains superfoods and beneficial ingredients full of fiber in order to help combat your leaky gut and symptoms resulting from your autoimmune disorder. The interesting mix of ingredients makes for a unique and original flavor. You can also add collagen protein (gelatin) or whey protein (for non-vegans) to boost the amino acid profile. If you are vegan, try a plant-based protein powder. 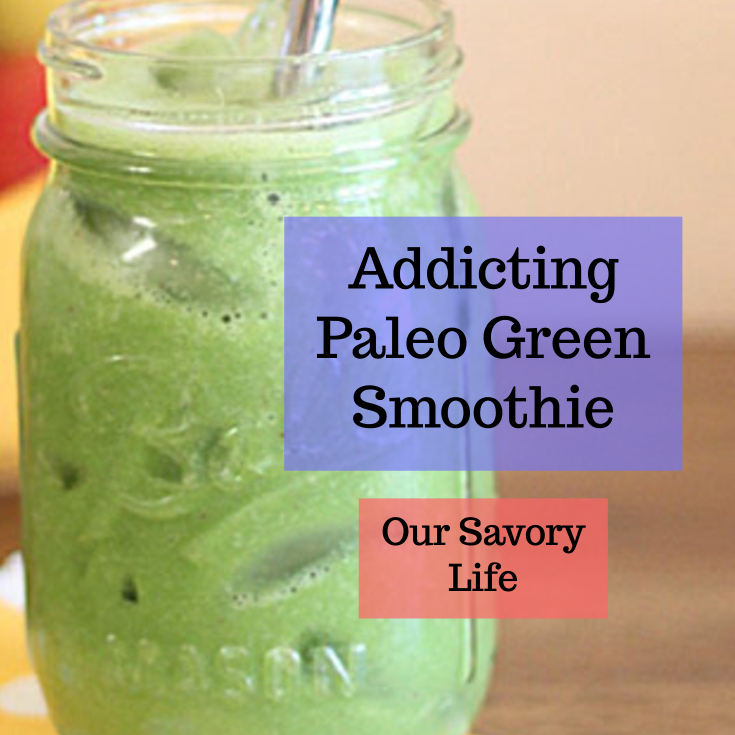 Don’t like the taste of most green smoothie recipes? Try this Healing Turmeric Smoothie recipe with fruits and vegetables like carrots, mangos, and papayas. All ingredients have healing properties, and it tastes delicious! Following an Autoimmune Protocol diet does not mean you should miss out on your favorite tasty treats. This Chocolate Protein Smoothie is like a banana smoothie but with a twist: it uses ingredients like avocados (rich in healthy fats), bananas, and non-dairy milk such as coconut milk to create a recipe that tastes like a dessert. Regulate your immune system while you sip on something sweet! Because dairy is not a health-positive food group, you may think this AIP smoothie recipe will lack creaminess – but this Pumpkin Pie Smoothie shows you that is not the case! By using pumpkin, dairy-free coconut milk and avocado, this recipe maintains a creamy consistency while still working to regulate your hormones, provide healthy fat and support your immune system. Smoothie bowls are a fun twist on smoothies. But you can easily add these ingredients into your favorite blender and enjoy on the go! Turmeric is a strong fighter of inflammation, and blackberries are a powerful fruit full of antioxidants. With these two ingredients and multiple sources of protein, this Blackberry Turmeric Smoothie should work to alleviate symptoms of chronic symptoms while helping restore your gut biology. Feel free to swap out the blackberries for strawberries or blueberries. If you have mint tea in the cabinet and are looking to do something different with it, this Blueberry Mint Smoothie is a perfect excuse to use it! Enjoy this for a morning breakfast or even an afternoon snack. The blueberries in this recipe are naturally sweet and rich in antioxidants. The avocados create a creamy texture and provide the essential fats our body craves. If you don’t like blueberries, I am sure you can swap for other berries like strawberries. Lettuce is a great leafy green with ample benefit (I suggest trying boston lettuce). 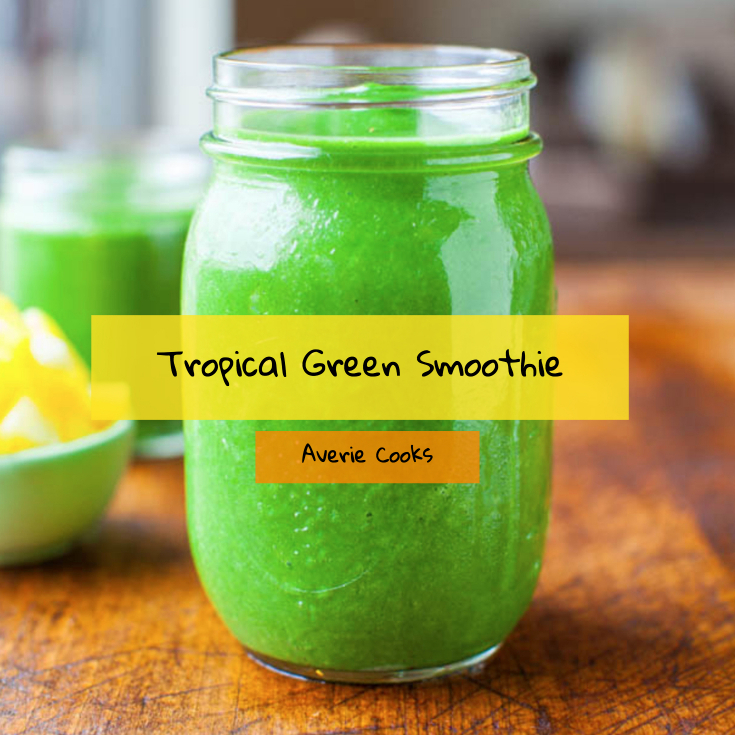 If you don’t like the texture of green smoothies, spice things up with this Sunrise Smoothie recipe. It has the bold and powerful flavor of pineapple; orange; and grapefruit, you will forget you are eating anything green I promise! 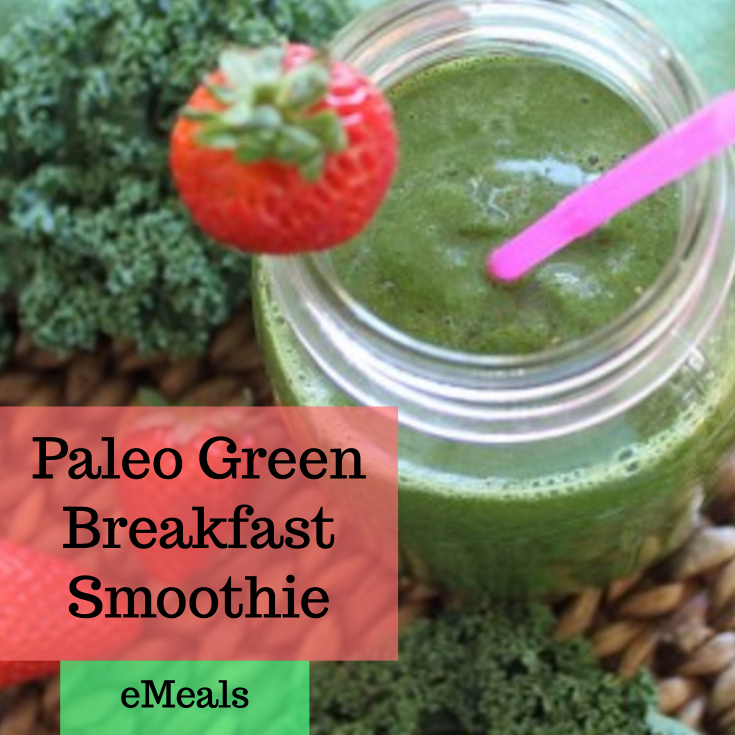 You can drink this healthy smoothie recipe for breakfast or any other time in the day. Do any of these recipes sound delicious to you? Have you tried them? Did they help? Let us know which you liked best! By drinking these AIP smoothie recipes rich in vitamins; minerals; antioxidants; and more, we hope you start feeling the benefits all of these smoothies have to offer! But did you know that you can reduce inflammation and joint pain by drinking one of these nutribullet smoothie recipes for inflammation every day? I don’t like to see anyone in pain especially when nature offers many powerful anti-inflammatory foods and herbs to help eliminate the painful symptoms associated with chronic inflammation. It is not always apparent what causes inflammation. But one thing is for certain, inflammation can be reduced by following a simple anti-inflammatory diet that only requires drinking one of these simple smoothies every morning for breakfast. I get it though, some foods are just not satisfying to the taste buds! And because of this fact, you may not be getting enough anti-inflammatory foods in your diet. I am here to solve that. So I assume you have a blender like a NutriBullet or Nutribullet RX? And a jar or cup? Great! Let’s take a look at some great-tasting NutriBullet recipes you can make to reduce inflammation! Get ready to just blend and enjoy the benefits! This Anti-Inflammatory Breakfast Smoothie contains blueberries, cherry juice and turmeric – two naturally occurring anti-inflammatories. Plus you get to hide a half of avocado for creamy texture and essential fats! (I promise you won’t taste it). All other ingredients in this smoothie are full of vitamins and antioxidants, which benefit the body while tasting sweet and delicious. Toss in your NutriBullet and enjoy! Love fruit smoothies? Pineapple contains a natural anti-inflammatory enzyme called Bromelain, making it an essential ingredient in fight against pain and inflammation. This Anti-Inflammatory Tropical Turmeric Smoothie combines the power of pineapple and turmeric to alleviate joint discomfort caused by inflammation. With these incredible ingredients, you can feel the heal from the inside out! Cucumbers and jalapeños are delicious – but they are also great anti-inflammatory foods! This Anti-Inflammatory Smoothie contains cucumber as well as jalapeño, combined with soothing coconut water and coconut milk. This smoothie uses unusual foods to create a naturally sweeten treat that does a world of good! What happens when you combine pineapple, coconut oil, turmeric, and aloe vera juice? You get a delicious smoothie that knocks out inflammation. This Anti-Inflammatory Tropical Turmeric Smoothie uses these ingredients (and more) to promote healthy joints and a healthy digestive system. Mix until smooth and sip away! Ginger root is an anti-inflammatory agent that carries a wealth of other benefits. 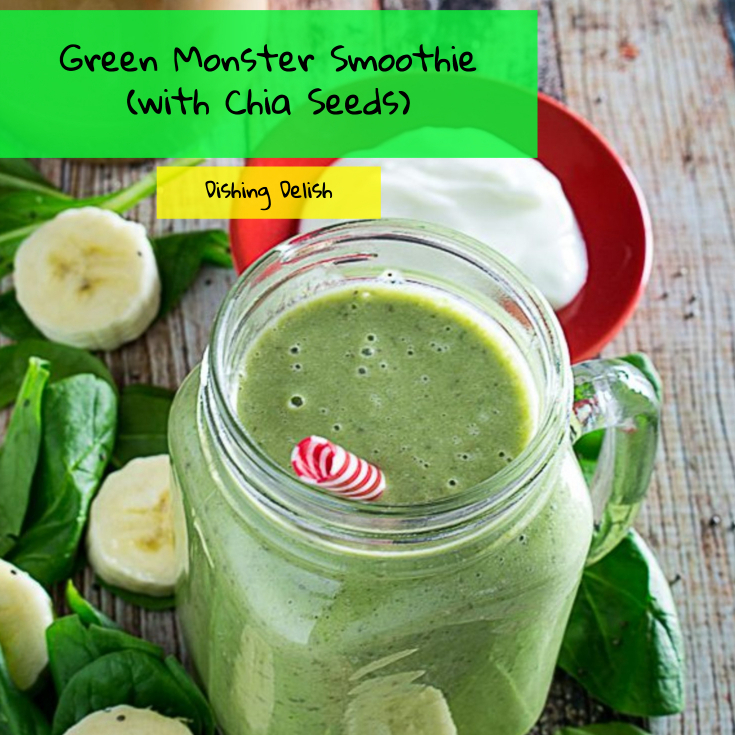 This Super Anti-Inflammatory Pain Reduction Smoothie combines the power of ginger, chia seeds (protein, fiber and omega-3), cherries, turmeric, cinnamon, and your choice of greens like spinach to alleviate inflammation in a natural and effective manner. Get ready to feel the difference! 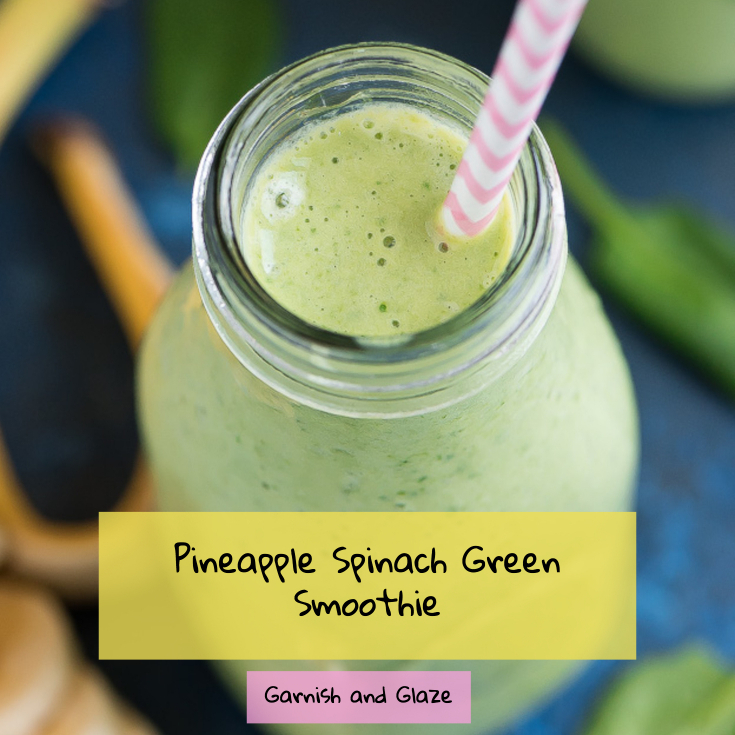 Pineapple and ginger are packed into this Liquid Sunshine Smoothie for Joints, making it a great option for reducing inflammation. The tropical ingredients make it a naturally sweet and flavorful treat that you will forget is doing great things for your body. Feel your joints get ready to take on the day! When you are looking to make a smoothie with spinach, why not make it jam-packed with anti-inflammatory ingredients? This Anti-Inflammatory Green Smoothie uses turmeric, banana, ginger, cinnamon, and almond milk to maximize health benefits. This original recipe works for breakfast, snack, or even dessert! Green tea is known for being rich in antioxidants – so why not mix that with some great anti-inflammatory ingredients? This Green Tea Mango Smoothie uses turmeric and mango to make a health-conscious treat. 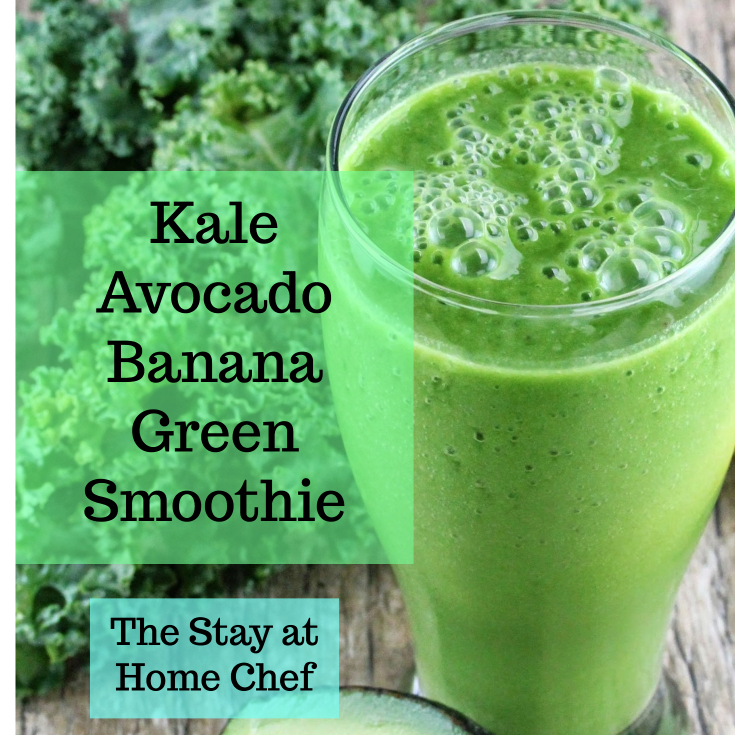 This also gets your daily dose of leafy greens all packed into a glass! This Anti-Inflammatory Power Green Smoothie uses cinnamon, ginger, and turmeric to alleviate inflammation the natural way. This recipe is rich with tropical flavor, making it a sweet treat to enjoy at any time of day. Keep your joints happy while spoiling your taste buds! Add basil to the list of beneficial ingredients for alleviating inflammation. Combine basil with ginger, pineapple, turmeric, cucumber, fruit, and delicious greens and you have a powerful smoothie. This Savvy Anti-Inflammatory Green Smoothie knocks inflammation out with a dense list of nutrient-rich ingredients. 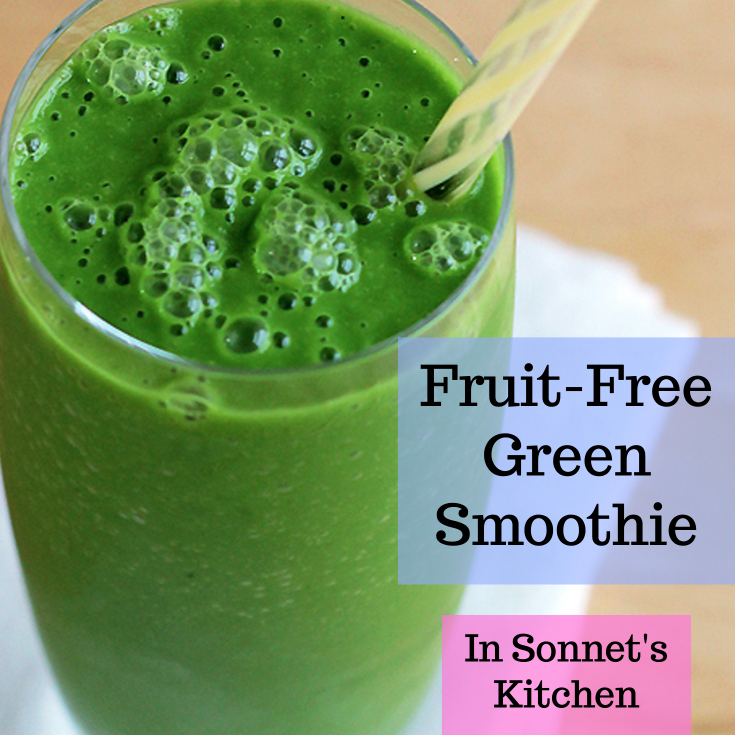 This is a delicious fruit smoothie recipe, but with a twist! Berries, like blueberries and strawberries provide essential vitamins and nutrients like vitamin C and are loaded with antioxidants. But when you think about joint pain, your first thought for relief may not be berries and beets – but think again! Beets contain anti-inflammatory molecules and are also heart-healthy to help protect against heart disease. This Berry Beet Blast Smoothie combines the power of beets, turmeric, and ginger – as well as delicious fruit! We hope you put your nutribullet blender to good work after finding these tasty smoothie recipes. If you try any of these recipes, we’ve love to hear your feedback and if it helped reduce your pain and inflammation? By sipping these NutriBullet recipes for inflammation, you will hopefully begin feeling the benefits reaping the rewards that nature has to offer! 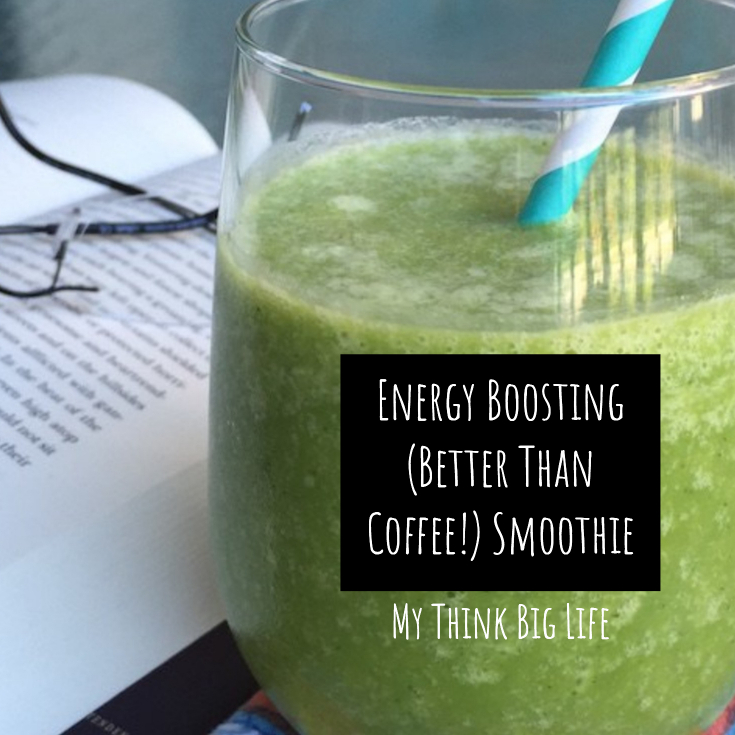 Trying to get your energy boost from something other than caffeine? Luckily there are other options out there, like green smoothie energy recipes! Let your fruits and veggies wake you up in a more natural way. Your body will thank you! Don’t believe your morning cup of coffee isn’t a necessity? 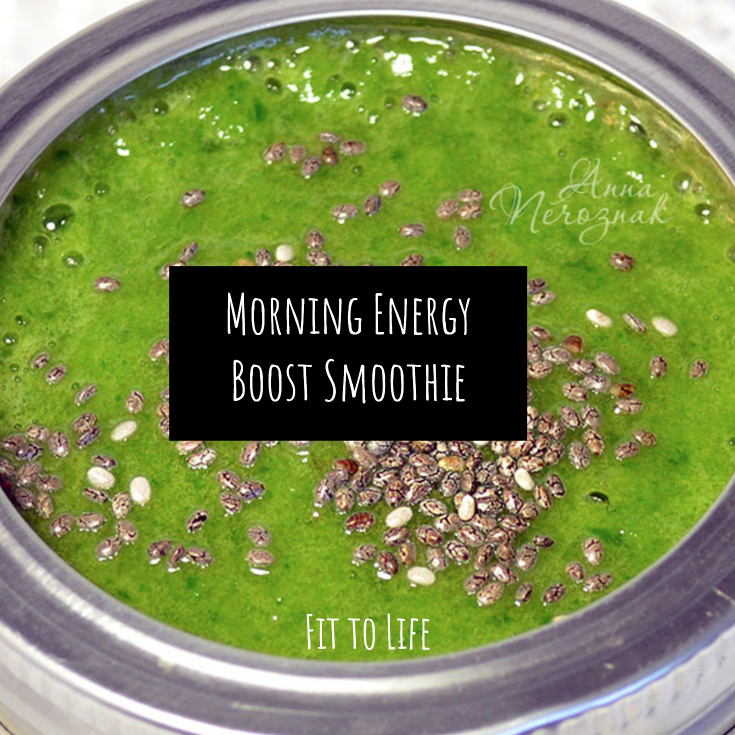 Let this Energy Boosting Smoothie surprise you! 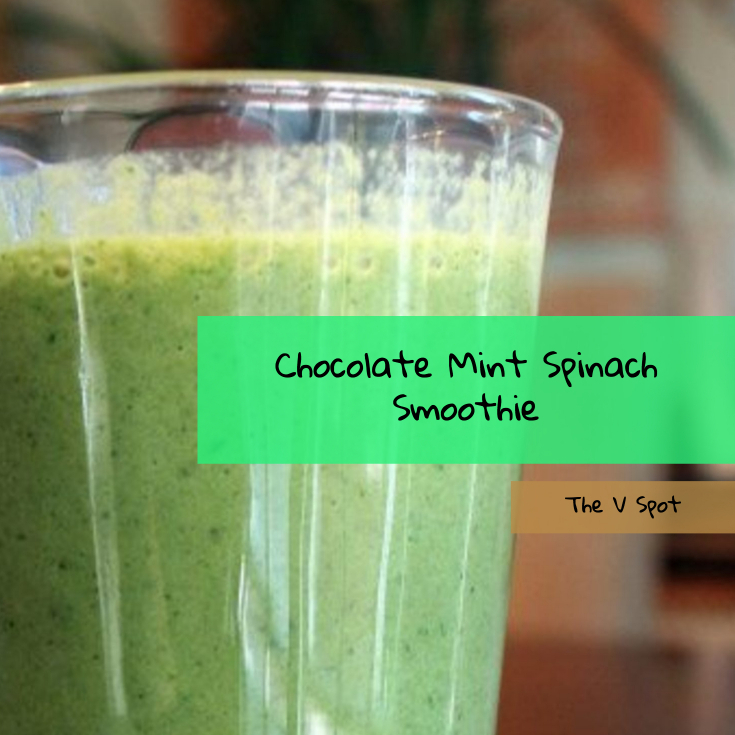 With lots of delicious greens and a variety of ingredients, this smoothie kicks you right into gear. Avocado and kale are powerfully nutritious foods, so why not let them boost your energy levels? 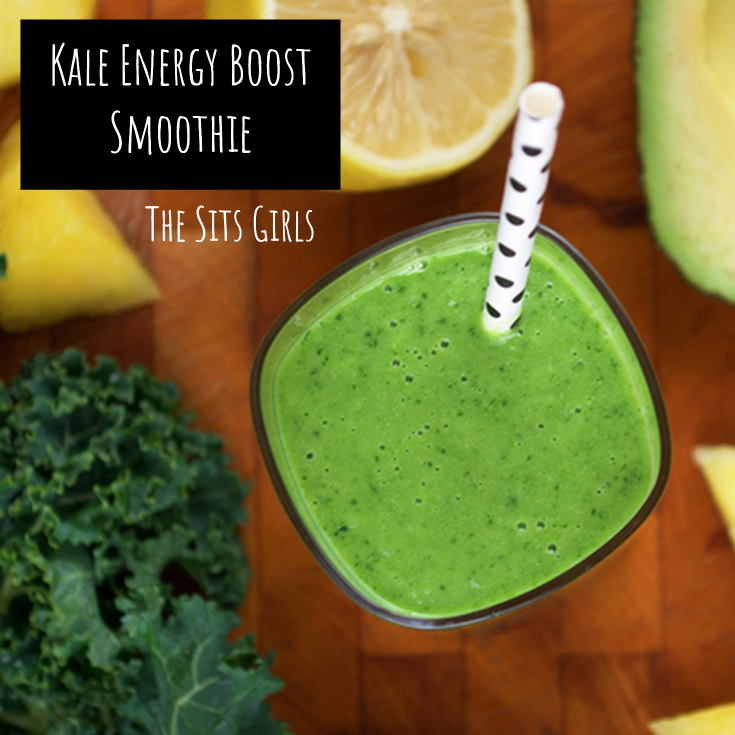 This Kale Energy Boost Smoothie utilizes both ingredients, plus a few other tasty ingredients to sweeten things up. If you enjoy tropical tastes in the morning, don’t settle for plain old juice! 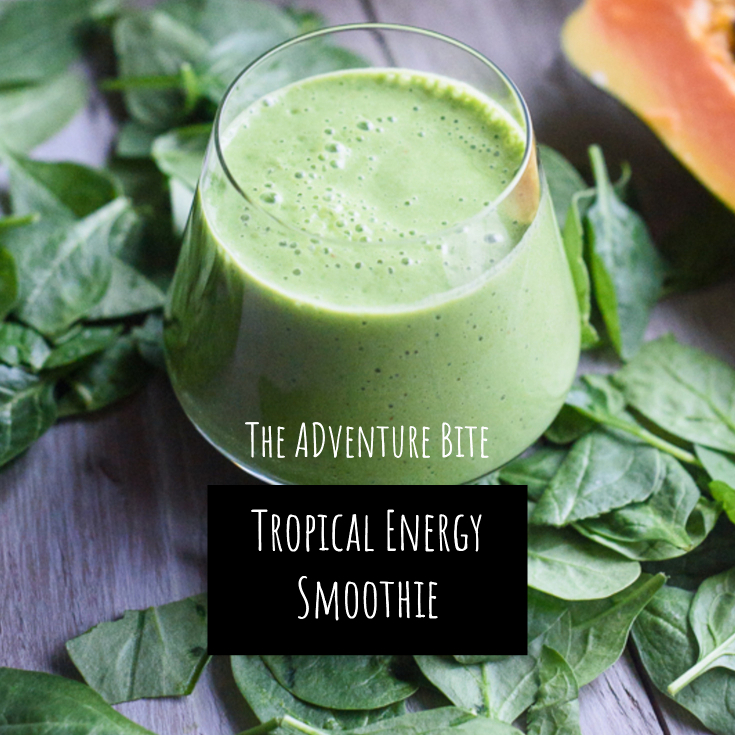 This Topical Energy Smoothie uses papaya, pineapple, and your favorite greens to get you revved up and ready to rock. Crunched on time? How about a three ingredient recipe? The only ingredients needed for this Morning Energy Boost Smoothie are banana, cucumber, and baby spinach. Blend it up and you have breakfast on the go. 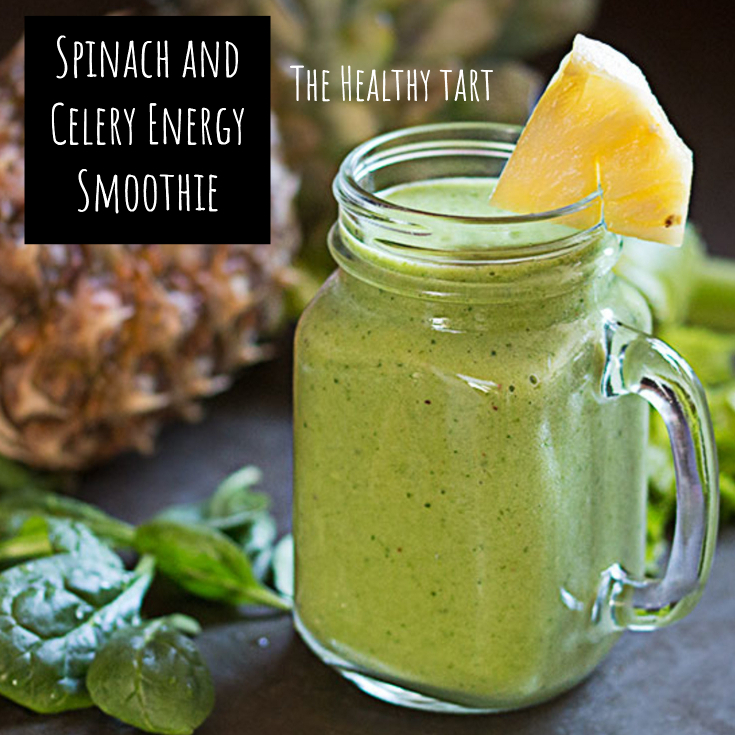 This Spinach and Celery Energy Smoothie only requires 4 ingredients: celery, spinach, pineapple, and coconut milk. These simple ingredients can have you more alert and ready to face the day. Which smoothie are you going to try? If you have any comments or suggestions, please let us know! We want to help you to find the perfect match for your taste buds. It’s full of electrolytes from coconut water with a delicious taste of kiwi. 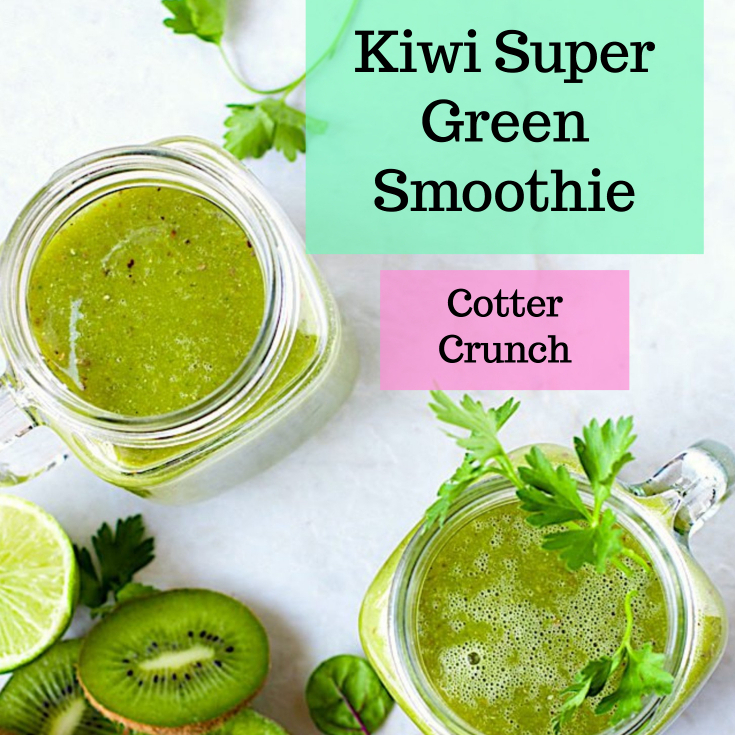 This hydrating recipe from Hallie at dailybitesblog features fresh ginger root, kiwi, cucumber, spinach and coconut water. Coconut water is known for its hydration and electrolytes while kiwi gives you added fiber, antioxidants and a delicious sweet taste. Cucumber is also 95% water making this a super hydrating smoothie! This is the perfect recipe after a long workout at the gym and ideal for any athlete. But anyone can benefit from it! Coconut water has more potassium than four bananas combined! It’s low in calories and cholesterol free. It’s an athlete’s best friend. Kiwi has more vitamin C than your average orange. And science shows kiwi helps to protect your DNA from oxygen related damage in your cells. Some studies suggest that flavonoids and carotenoids may be responsible for kiwi’s amazing antioxidant properties. Cucumbers re-hydrate your body by containing over 95% water which helps to eliminate toxins and re-energize you for the day. Cucumbers are also highly anti inflammatory. Ginger aids in digestion alleviating indigestion and problems with flatulence. Ginger is also very anti-inflammatory and is used often to ease soar throats and assist you during a cold or flu. But its many healing uses make this a delicious ingredient to add to any smoothie. Optional: For added energy, add 2 tbs of organic chia seeds to sustain the hydration. Blend all ingredients in a blender until smooth. Sip and enjoy immediate hydration! 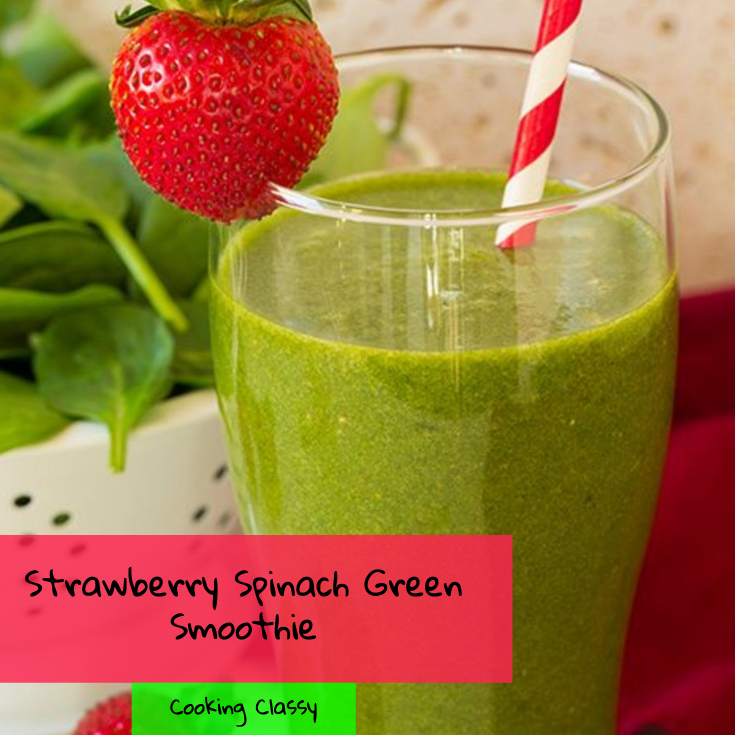 After a long night out or a week of bad eating, detox your body with this delicious green smoothie. This recipe uses kale, spinach, lemon, cucumber and chia seeds. With the added vitamin C from the lemon and oranges, this recipe will boost your immune system and help you recover from a late night out or poor food choices. For added hydration, use coconut water in place of the purified water. It’s full of electrolytes and has more potassium than bananas! Kale is a good source of antioxidants and phytonutrients. Lemon gives your immune system a boost. Mint helps with your digestion and is anti-inflammatory. Add the superfood chia seeds to help clean your colon with insoluble and soluble fiber while giving you a daily value of omega 3. Combine ingredients, blend on high for 30-45 seconds in your blender of choice.